Cancellation policy: In the event of acts of nature that prevent us from providing service to you or which prevent you from arriving, we will provide a full refund of any deposit paid, minus a 20% service change or we will allow you one year to remake your reservations. In the event of a personal catastrophe, we will allow you one year to remake your reservations. Prices include a full breakfast in our dining room, served from 7:30 to 9:30AM. There is free parking within the grounds. Wifi is available on the terrace of the main house. We do not allow children under 6 years old. Come stay with us at the Flycatcher Inn, located in the town of Santa Elena on the Yucatan Peninsula in Mexico. 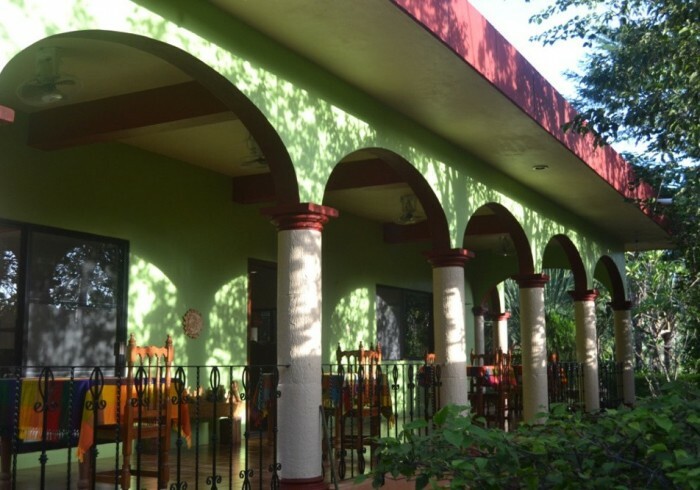 The Flycatcher Inn provides a clean and comfortable place to stay while you explore the nearby tourist sites of Uxmal, Kabah and other Maya archaeological ruins. The quiet privacy of our garden rooms serve as a base for the exciting adventures available in the surrounding area. Short or long term rentals are available. And always, our well-trained staff will be available to attend to your needs. lots and lots of birds themselves!